The exponential growth of Uptown, Downtown and the Arts District – chalk it all up to a development track that capitalizes on walkability, arts, entertainment and dining amenities, and an environment that supports both work and play. And that commercial development has spurred a residential real estate market in the city’s core, focused on luxury details such as incredible views of Klyde Warren Park and the award-winning Dallas skyline, expansive terraces that allow for landscaping, open floor plans, ample storage and concierge services. Buyers will never miss their traditional, single-family home. Five years ago, there was limited inventory of new residential construction in Uptown and Downtown – and not a great deal of interest in in-town living, said Amy Detwiler, a Briggs Freeman Sotheby’s International Realty agent representing ParkSide, a new mid-rise development on Woodall Rogers Freeway. “The recognition and awareness of Downtown has changed, and that has to do with the park and the Arts District. It’s really made downtown a destination location,” she said. ParkSide takes full advantage of the green views – overlooking both Klyde Warren Park and the Nasher Sculpture Garden. The building’s units will be complete this month. Overall, buyers are looking for the views and walkability, plus the architectural elegance, amenities and services they can find at buildings that have set the standard for Dallas city living – including Museum Tower Dallas, the Ritz and 1 Arts Plaza. 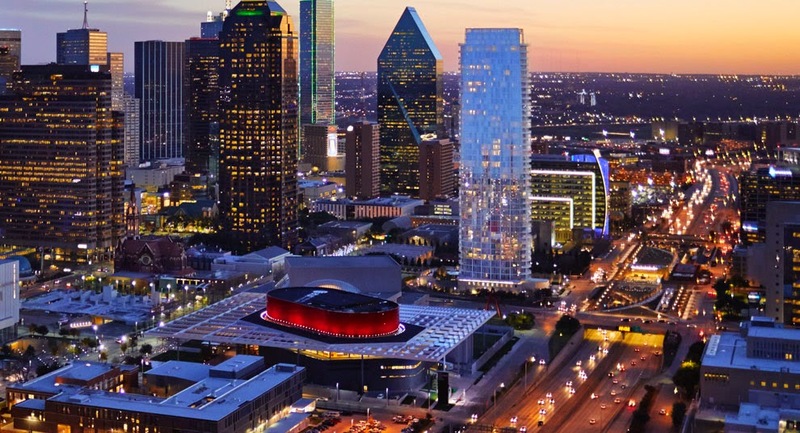 Those buildings, and the developments coming online in 2015, have made Dallas an investment focus. Dallas-Fort Worth ranks as the 9th best investment market in the world. - Land values are up to $390 per square foot today, whereas the top values were maybe $150 per square foot two years ago. Puckett says to look for about a half-dozen more Uptown/Downtown development announcements to happen in the near future. That’s in addition to the sites already under construction around the park. “We’ll see things in the next 10 years that we’ve never seen in Dallas,” he said. This story was originally published in Papercity Magazine by Briggs Freeman Sotheby's International Realty.